Sometime in mid-April 1975, the 12th airborne Battalion, wich was part of the 4th Airborne Brigade, was placed on combat alert status under the command of the Capital Special Zone. The battalion (minus) was deployed inside the Saigon's Botanical garden, while one of the battalion's companies was stationed on the grounds of the Ministry of Agriculture at the corner of Nguyen Binh Khiem and Phan Thanh Gian Streets. This company assigned mission was to defend to Phan Thanh Gian Bridge. At midday on 28 April 1975 Lt. Colonel Le Minh Ngoc, the Commander of the 4th Airborne Brigade, ordered the commander of the 12th Airborne Battalion, Major Nguyen Van Nghiem, to report the Capital Special Zone Headquarters to receive opeation orders. When he arrived, the 12th Airborne Battalion commander was briefed on the situation in the area to which he was being sent and was ordered to move out immediately. Enemy: A company-sized VC force had made a surprise attack and had captured the eastern end of the Newport Bridge and an area on the castren side of the bridge. The enemy was using the fire of heavy machineguns emplaced on the top floor of the Thien Nga swimming pool building (located about 100 metres from the eastern end of the bridge) to cover the middle section of the bidge, and as a result the RF unit trying to advanced across from the western end of the bridge was unable to mount a counterattack. The enemy was trying to capture and occupy the entire bridge, and al trafic on the freeway between Saigon and Bien Hoa was blocked. Friendly: Two RF companies under the command of the Deputy Gia Dinh Province Military Sector Commander, a lieutenant colonel, was mounting a counterattack to retake the order end of the bridge, the end on the Bien Hoa side of the river. the Newport Navy base would supply boats to transport the battalion across the river. 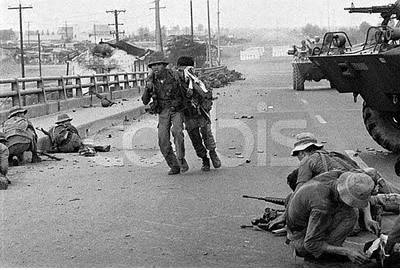 Mission: The battalion would coordiante with the Gia Dinh Province Military Sector Haedquarters and the Newport Navy base to launch a counterattack aimed at recapturing the portion of the bridge being held by the enemy and to clear the road for trafic as soon as possible. Operations Plan: The battalion would use the vessels provided by the Newport Navy base to cross the river north and south of the bridge, after which the battalion's two columns would attack the enemy's positions in a pincer movement. 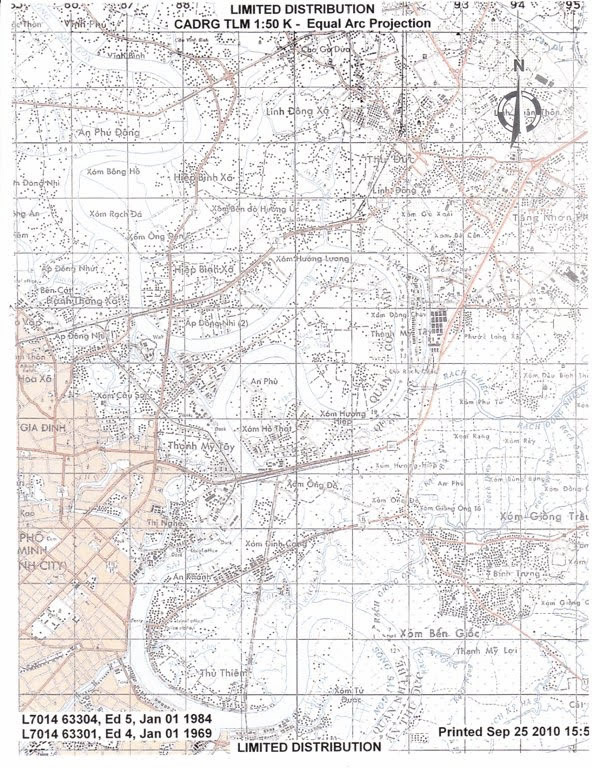 Column A, consisting of the Battalion Headquarters and the 120th, 123rd, and 124th Companies would cross the river from the area of the Thanh Da housing compound, while Column B, with the battalion's 121st and 122rd Companies under the command of Deputy Battalion Commander Nguyen trong Nhi, would cross the river from the Newport area. Actual Progress of the Battle: At appoximately 1500 hours the entire battalion was picked up by GMC trucks and was transported from the Botanical gardens, across the Thi Nghe Bridge, and down to Hung Vuong Avenue, after which the trucks turned onto hang Xanh Street and drove to the Kinh Bridge. 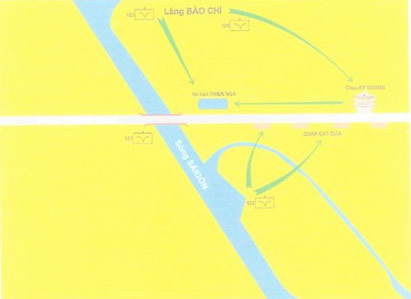 From there, Column A was transported to eastern side of Saigon River by several river patrol boats. Column B marched down through a number of residential areas near the riverbank to reach the Newport Bridge. Major Nhi ordered 1st Lt. Nguyen Van Nam's 121st Company to wait at the floor of the bridge to serve as a reserve force and to provide covering fire to help Column B cross the river, while the rest of the column, a light headquarters section and Captain Do Viet Hung's 122rd Company was trasported across the river aboard a Navy barge. 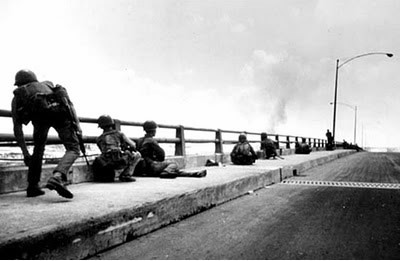 The enemy did not notice the 122rd Company's arrival on the eastern bank of the Saigon River, perhaps because of all the gunfire sounds that wera taking place on the bridge itself. At approximately 1630 hours, 122rd Company began to move, quietly crossing several small streams that run parallel to the highway. the company the began attack up toward a line of tents and huts that were refreshment stands located along the south side of the highway. Firing began, and the paratroopers quickly captured a number of tents where VC troops had been deployed. the final objective, the "Coconut Tree" Café, was captured after 30 minutes of fighting. Our men chased a number of enemy troops who had jumped into the streams to try to escape. A number of them surrendered, while the majority of the rest were wounded by bullets or by grenades that our men threw down into the streams. Meanwhile, after crossing the river Column A began to advance rapidly, crossing through the Press Village area and then heading straight toward the thien Nga Swimming Pool. 1st Lt. Nguyen Van Tung's 124th Company seized and occupied the Ky Quang Pagoda. this Pagoda was located on the north side of the highway, the same side as the thien Nga swimming Pool, and was a bit more than 400 meters from the swimming pool. The 124th Company then attacked eastward from the pagoda straight toward the swimming pool. the Company then attacked eastward from the pagoda straight toward the swimming pool. Meanwhile 1st Lt. Son Bum's 123rd Company, supported by the 81mm mortars of 1st Lt. Thuong's 120th Company began advancing and attacked the north side of the swimming pool. At approximately 1800 hours Column A secured control of the swimming pool. the enemy fled, leaving behind a dozen or so bodies. On the balcony of the upper floor of the swimming pool building our men found the bodies of two men who manned the enemy's heavy machinegun; the legs of both men were shackled with chains that were secured to the balcony railing. Column A began a sweep operation aimed toward the foot of the bridge. At 1900 hours the battalion completed its mission of recapturing the eastern end of the bridge and policed up the surrrounding area. The 12th Airborne Battalion suffered only insignificant casualties in this battle, while the enemy left behind more than 40 dead bodies. The battalion captured more than 20 prisoners, most of them were wearing only a pair of boxer shorts and had smeared their arms, legs, and faces with grease and camouflage paint. 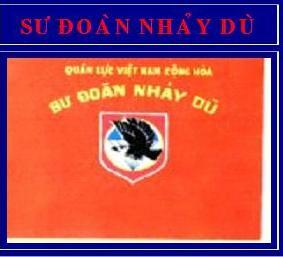 the prisoners stated that they were soldiers of Thu Duc District's 4th Sapper Battalion. The battalion was ordered to deploy to defend the area on the east side of the bridge. At about 2000 hours Lt. Colonel Le Minh Ngoc gave an order instructing the battalion to send one company to defend the area of the instersection of the freeway with the Thu Duc road. 29 April 1975 - Nothing happened to the unit throughout the day. At approximately 2200 hours a number of military trucks carrying soldiers and their families, along with armored vehicles, drove in from the direction of Bien Hoa to try to enter saigon, but the battalion stopped all of these vehicles on this side of the bridge. One colonel from III Corps and a lieutenant colonel wearing a name-tag with name "Quy" asked that the families of the soldiers be allowed to cross the bridge into Saigon. They also informed Major Nhi that the personnel at Bien Hoa had received orders to withdraw back to saigon. Major Nghiem decided to allow this group to cross the bridge, all except for several armored personnel carriers, which remained behind to defend the bridge alongside the battalion. Major Nghiem also ordered that 123rd Company, commanded by Captain Hung and assigned to defend the Highway - Thu Duc road intersection, to pull back. The situation remained quiet throughout the night. 30 April 1975 - At approximately 0730 the battalion received ordres to allow a convoy of III Corps armored vehicles to enter Saigon so that they could deploy along Hang Xanh Street. At approximately 1000 hours General Duong Van Minh issued an order for all troops to lay down their weapons. The battalion HQS called a meeting with the company commanders to inform them of this order and then allowed them to act at will. 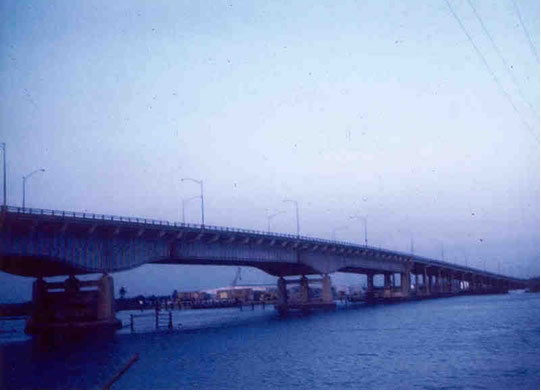 Major nhi sadly threw the electrical detonator device that was to set off the approximately 2.000 kilograms of TNT wired to destroy the Newport Bridge into the Saigon River.